You might have an SEO plan in place but does it include local SEO? If not, it’s time to wake up and smell the coffee. 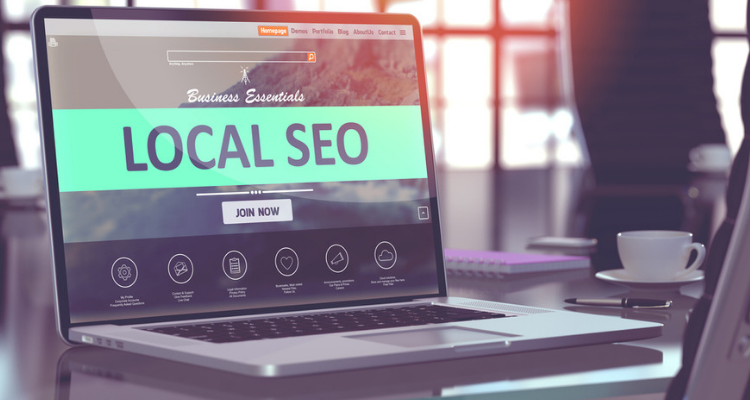 Mastering local SEO in 2019 is more critical than ever and it will help to ensure your business stands out amongst your competitors. Allow us to explain. Great question! If you’re wondering whether Local SEO is worth your efforts (and your budget) consider this fact: 78% of local searches result in purchasing (Source: comScore). If a local customer is searching for ‘garden centre’ in a specific location in Adelaide, say Burnside, the odds of them buying from you are greatly stacked in your favour. The key, however, is to ensure that customers can find your site and NOT those of your competitors. To top the rankings, you will need to implement a monitored and optimised local SEO plan. Here’s how. Location is a key driver when it comes to local SEO. It’s vital that your site show and tell your customers where you are. To do so, include maps, addresses, directions and any other useful information. Remember, your key selling point to local customers is your proximity. Big shot national Australian companies do not have this benefit or the same SEO focus –take advantage of this ‘niche’. Tailor your adverts and marketing campaigns to appeal to local customers. For example, if your company is in Parramatta, NSW target locals through your social media. While your national SEO campaign is working well, you will need to optimise separate campaigns to target local customers. Optimise your site copy and content in such a way that you are using specific keywords and topics that will be useful to your local customer base. Create campaigns that are both off-page and on-page – this will help you to maximise your local SEO efforts. Off-page campaigns include enhancing and building links outside of your site, substantial presence on social media platforms (relevant to your customer base), guest blogging and working with influencers. Keep working to ensure that your business appears on the first page of searches and above your competitors. How? By regularly updating your site with relevant and useful content and by using your keywords in an authentic manner (this means not overstuffing copy). Ensure your business generates genuine and helpful customer reviews on your site and Google My Business. Although genuine reviews are slightly out of your control, any positive feedback you receive is priceless. It’s also a great way to reinforce loyalty from current customers and to grow your customer base. If possible, highlight great reviews and make sure to interact with reviewers. Got a bad review? Please don’t ignore it and leave it to sit on your site to fester. Instead, respond and try to deal with it quickly and effectively. Customers (both current and potential) are impressed with how companies deal with a ‘bad situation’ and turn it around. Make your customers’ lives easy. Ensure your site is searchable by location query and voice search. Remember, your customers’ preferred ways of finding you will change over time. Do not stagnate and rely on methods that worked in the past or present. Think ahead to local SEO in 2019: How will your customers choose to find you? How do you search for businesses? Use Google My Business (GMB) and optimise it so that customers have all the information they need in one place. GMB plays a vital role in local SEO in 2019. Be conscious of maximising your listing wherever possible, as well as keeping abreast of any algorithm changes. Regularly monitor and, where necessary, update your Google My Business listing. It’s helpful to include any holiday hours, special openings or closures. You can either update at the time or schedule special hours in advance. Alternatively, if there’s a road closure in Little Bourke Street in Melbourne’s CBD, you could add a ‘still open for business as usual’ message. Input and update your details in all local business directories such as Yelp, Hot Frog, Yellow Pages and Go Guide. Many businesses fail to follow through with these listing sites and miss out on valuable (and often free) services. Make sure your site is genuinely ‘mobile friendly’. The number of mobile internet searches outnumbers those made anywhere else, so it’s crucial to make sure your website is mobile-friendly. Need further encouragement? Google prefers sites that are mobile-friendly and ranks them accordingly. Keep titles and meta descriptions to the right length. The dreaded ellipsis will cut off overly long descriptions, possibly leaving out essential information such as your contact details! If you find this challenging, use a plug-in. Choose titles that tell the customer about your business, your service or product. In our fast-paced lives, we do not have the time to decipher what it is that you sell, and in this case, where you sell it. Include your location in your meta descriptions. For want of repeating ourselves, local SEO involves letting your customers know your position (and how close to you are). Use your meta description to nail your location. Use mark-up to assist Google’s spiders. Using mark-up or schema will provide information about the services and products that you offer, your location and reviews. Google will like you for it, and you will reap the rewards. Like most things, there’s a plug-in if you are not a fan of coding! What’s next for Your Local SEO? It’s time to get to work. We hope this local SEO guide has given you some food for thought. I regularly contribute articles about the always changing world of SEO to Clickthrough.co.nz.